The sense of time as a finite consumable is an adult construction. My hunch is that our relationship with time creates quite a bit of stress for ourselves and others. I don’t claim any expertise here. I’m writing because I feel a bit tangled in time myself. So what follows are just observations and places to explore. 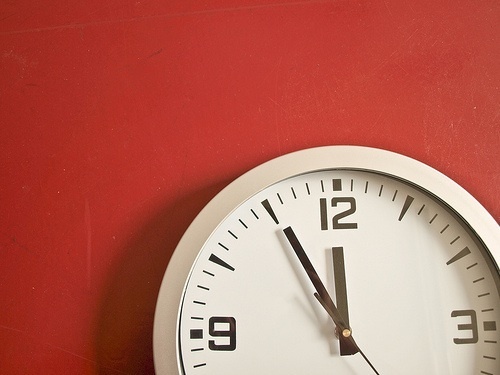 Can thinking about time differently reduce stress? If you are about to embark on spring break, how could a different sense of time shift your perspective? Our children have a different sense of time. Young children, especially, live in the present. They care more about your presence and connection than about what “needs” to be “done.” What kind of richness might we find in that perspective? When we play or are having fun we use different expressions for time. In some ways we tend to flow with time instead of trying to manage it. What makes play different? What could we do to play at life? What do I really want? When I ask myself that question there is a flippant inner voice that says, “All of course!” It is my own way of avoiding the process of reflecting on what really matters to me. It is easier not to think about this question. But even a fluid answer would give a me a useful compass. What would be a baby step to begin to change my relationship with time – so that I could live a little more in the present moment, feel a little more gratitude for what is instead of paying attention to what needs to be done, feel more spaciousness, or experience a sense of truly being with those I love? Teaching people to do the right thing when no one is looking ... Growing equity and democracy, on family, one student, one classroom at a time. This entry was posted in Connection and love, Self-care and tagged stress, time, time_management. Bookmark the permalink. Thank you for this posting Jody! Awhile back, I asked my three year old if she wanted to go to the park and she replied, “do we have time?” I realized how often I say “we don’t have time” and felt so sad about projecting my own issues with time onto her. It is such a gift that children give us to remember to be present and live in the moment. Whenever I feel rushed or am rushing her, I remember that exchange and just take a deep breath– the power of breath connects me to the now and helps me, in turn, connect with my daughter. I think about how important an extra minute or two is to my daughter, and how insignificant taking those extra two minutes are to get out of the house. Thank you for this reminder through your post! Ahh.. breathing. Thanks for that reminder too! Some think that time is actually speeding up. Wonder if that’s true. It’s so important to realize that our kids have time right so we don’t jump down their throats when they’re not relating to “not enough time” the way we do. We could even use our kids sense of time as a kind and gentle reminder to “take time” to connect. Thanks Bonnie!